It’s 1977. There’s a chill in the air, like on a usual December evening. It’s cold, but the night is fraught with a strange ferment, a mysterious energy that seems to announce a revolution. It’s 9.03 pm, and two guys are creating something in a dark basement on Bushwick Avenue, Brooklyn. One is fond of science and space, the other is keen on music and cinema. The young men are united by a sort of dreamy romanticism that two guys are endowed with only in an age of revolution. Something is moving beyond the door of the spare cellar. Scientific progress is getting close, cars and airplanes are making their first appearance in the collective imagination – they are coming out of the paper projects and they are beginning to take form. Everything is bright, shiny, but it’s in a cloud of opacity at the same time, just as the pictures of those years. The young men are two genius, or maybe they are just two wishful thinkers, but they yearn to invent the future through a musical and visual journey. In the darkness of their basement, they are working hard to build synthesizers able to reproduce the idea people of that time had about the outer space. Using their knowledge of electrotechnics, the teenagers outline synths in order to recreate the sound of the cosmos. What’s more, on the basis of the science fiction movies of those years, the youngsters imagine to make the soundscape of a journey to the edge of the universe. Every night, the young men’s dreams are invaded by space shuttles and alien creatures. Every morning, the two guys try to keep the sounds of those hallucinations alive. Then, such noise is used to compose real soundtracks. Their love for those extraterrestrial women, living beings of distant planets, is the driving force behind their creations. The music is a soft texture leading the astronauts to their interplanetary journeys. The visual world is a landscape made of light, intense colours and ethereal sounds. The evolving ambient soundtracks produced by the young men represent the emotive expression of their imaginary explorations. The empty cellar fills up with slow melodies which develop little by little, just as the space shuttle that gradually reaches the speed of light, so as to explore other planets. The real world keeps out of the door. The two guys feed on film images and stargaze thanks to the arrival of synthesizers. 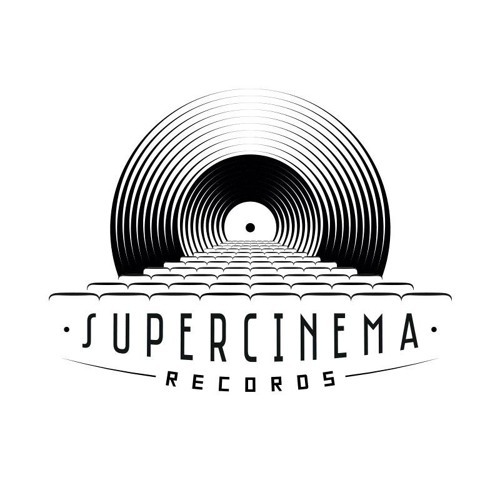 This how Supercinema Records blossomed: it arose from this fictional or maybe real story. The label is the result of a journey through sounds and visions of the ambient music universe.